George H.W. Bush, who guided the United States through the collapse and breakup of the Soviet Union and who marshaled a multination coalition to repel the Iraqi invasion of Kuwait, died Friday at the age of 94, just eight months after that of his wife of 73 years, Barbara Bush. On Monday, Bush’s body was flown to the Capitol on Air Force One. He will lie in state through Wednesday in Washington and then be buried Thursday at his presidential library in College Station, Texas. Chicagoan Samuel Skinner knew Bush for nearly 40 years. Skinner served as Bush’s chief of staff from 1991 to 1992 and prior to that spent nearly three years in his cabinet as secretary of transportation. He said that while the Bush family does not show much emotion in public they are a family that cares deeply for one another. “They are the most caring family and the most caring people you could ever be around. 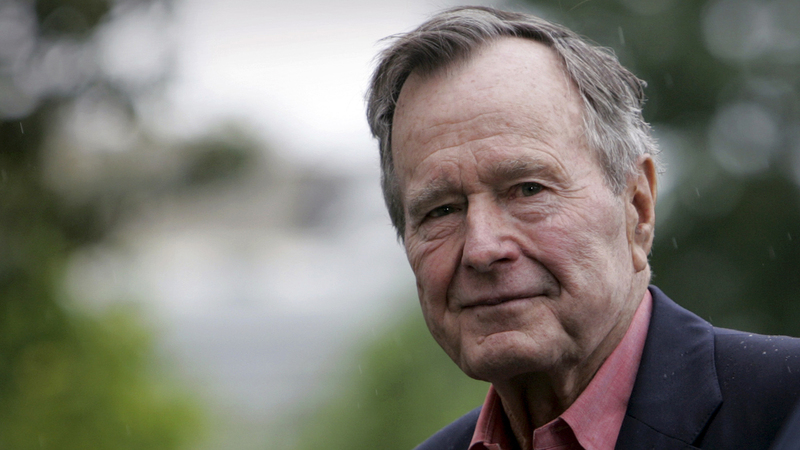 And of course the patriarch of all that care is George Herbert Walker Bush,” said Skinner. One example of Bush’s caring side came when Skinner first went to the Bush family home in Kennebunkport, Maine. Bush asked Skinner if he could get up early to play golf. Skinner noted that Bush had a particularly close relationship with his Secret Service detail. While Bush’s foreign policy accomplishments are often highlighted – particularly his handling of the Soviet breakup – Skinner says he gets most emotional when thinking about Bush’s drive to pass the Americans with Disabilities Act in 1990.